Bartacks and Singletrack: Snow play time! Back at the start of June we found ourselves with a free weekend, which is a rarity, and it happened to be the opening of the "snow season".... So we went to the snow, or at least what there was of it. 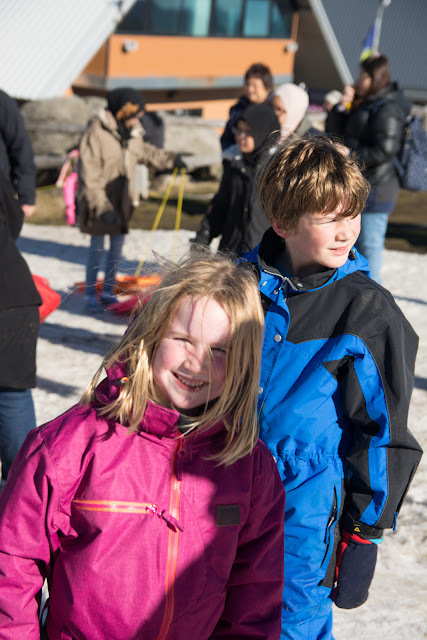 Northern hemispere blog readers might find this hilarious, but we had a great time tobagganing on the swimming pool sized patch of man made snow. 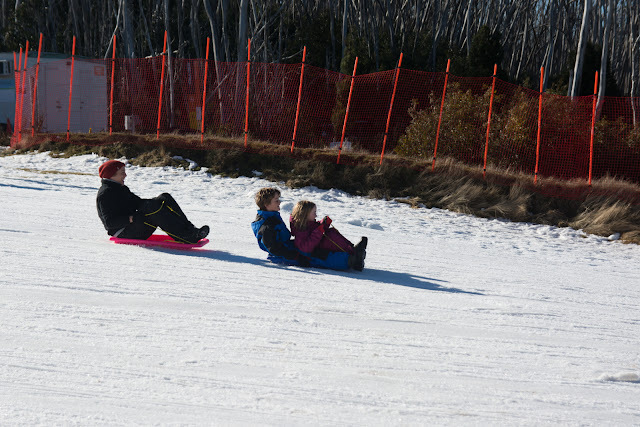 At least we did until midday when it had turned into the consistency of a 7-Eleven slushie, and parents were seen dragging their kids down the tobogganing slope. While we might not have serious winter snow falls I was still going to make sure the kids were warm and comfy for their snow play. So, I hit up the fabric stash for the cuts of merino jersey I always buy when it's on sale at The Fabric Store. P got leggings and a long sleeved t-shirt made form an olive green merino jersey I'd previously used here, and an almost-co-ordinating stripe used for his own jumper here, and some electric blue leftovers that date way, way back. The sleeve piecing was due to fabric shortage. 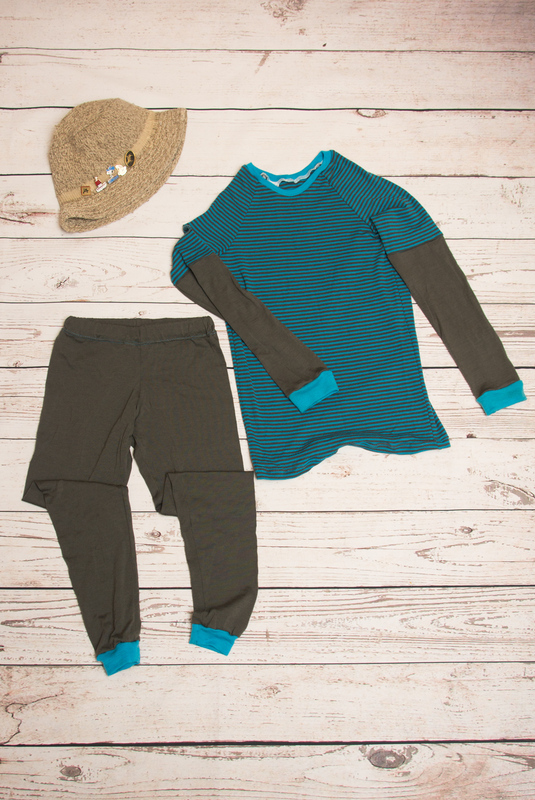 Patterns are Oliver + S Field Trip Raglan T-shirt and Playtime leggings. Both size 8 but lengthened by virtue of adding cuffs. I didn't make any notes of measurements. Neither did I bother with stripe matching. Nor did I care at all about the construction techniques. These were banged out fast on the overlocker in order to do the job and make the deadline. And then A got exactly the same. Size 6, I think. Also entirely leftover fabrics: Leafy brown dress here, pink deer skivvy here and cuffs from another of my skivvies in the earlier post link. We hired snow suits, snow boots and a toboggan each for the kids and kitted them out in some super warm alpaca socks from Creswick Wool Mills. Perfectly toasty warm and dry for playing in the snow. Neither of them had gloves, and since the bike commutes to school are getting pretty nippy on the fingers I decided to knock out a couple more pairs of mittens. The pattern is from Little Things To Sew. I used some of the amazing double sided bonded, windproof fleece that I'd bought for school vests and only used once before, here. It's fun to be able to swap the fabric sides for red on blue, or blue on red. 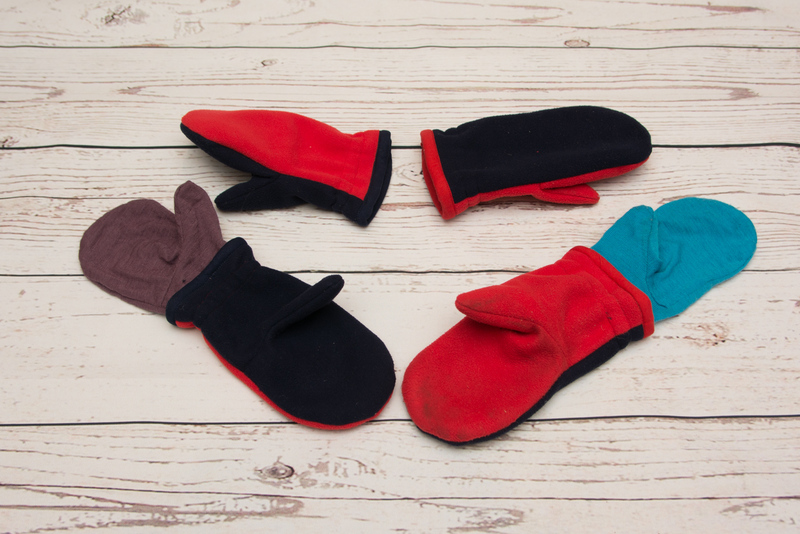 Each pair of mittens was lined by creating another pair of mittens from the scraps of merino jersey. Then, instead of an external casing for the elastic I sewed a channel of both inner and outer mitten, threaded the elastic in, then closed the channel. The wrist edge of the glove is then finished with quilting cotton bias binding. Here's the lining mittens pulled out to show. The jersey is so stretchy compared to the windproof fleece that the lining mittens are probably a bit big and wrinkly. I'd also enlarge the thumb piece if I was doing this again as that seems to be the smallest part, especially when doubled up. 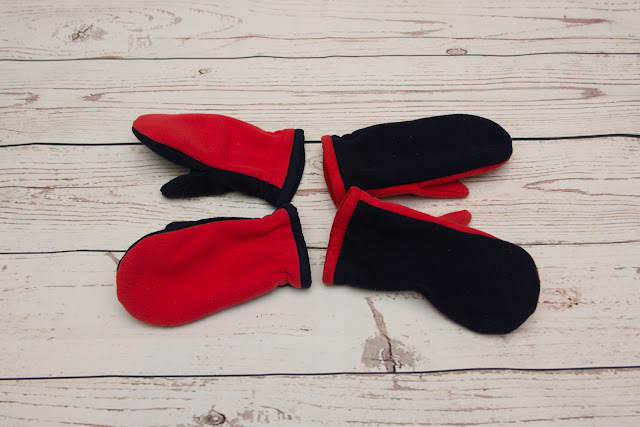 I did point out to the kids that the mittens would not be waterproof, but of course they dragged their hands in the snow and got them soaking wet, then complained. Still, now that they're clean and dry, they're in steady use for the commute to school. ...and the thermals? Well they're turning out to be both kids preferred pajamas. Makes sense as the bedrooms in our house are about as cold as that snowfield was! Which brings me to that inversely proportional law of enthusiasm about a sewing project. You know, the more you care for something, the less they like it. Well, it turns out the most useful things are those that sit right in the middle of the graph. No-one is overly enthusiastic: they're not that exciting to make; they're not what you're going to choose to wear to the school disco. But gee if they're not the most useful clothes of all. For me, I was just delighted to be able to dig out my old gear and use that all over again. But you can see I did have my matching olive-green merino skivvy underneath. THE GRAPH!!! IS SO GOOD!!!! I asked for a visual, and you delivered! So funny. Raw edged gray linen, I'm dying (also, that sounds utterly tasteful and amazing, lol!). Tacky novelty t-shirt. DYING. Sounds like you had a great weekend and impressed with your fast sewing skills. I wonder if the graph was how Mum saw her sewing for us? Love love love the graph. So true. My girls don't remember our first trip to the snow... but I do & I'm still scarred. :) thanks Anna. I love the mountains but I was making certain that the kids weren't scarred by bad weather and cold, wet bodies. So easy for it to become unpleasant. Thanks Rachel. Luckily there were colours that suited both kids in the leftovers pile. They are definitely the favourite pyjamas for both kids now. 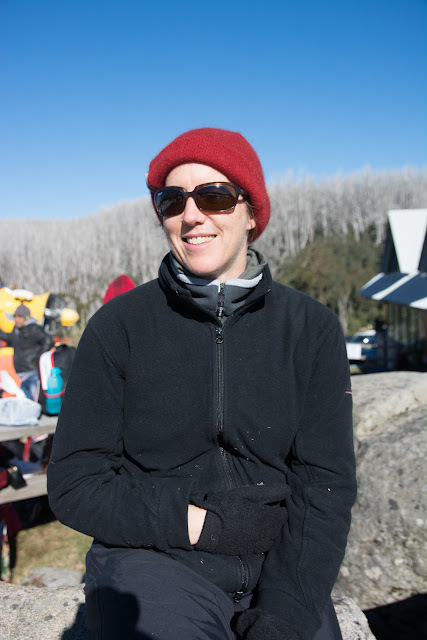 It's amazing how good superfine merino wool is. Long gone are the days of "too scratchy" wool. Great snow gear (and perfect Melbourne-winter-sleepwear too!). The mittens are very cute too. Is that dark green merino kind of a sweatshirt knit? If so, I'm sewing with the exact same fabric right now. As per your brilliant graph the colour probably doesn't excite its intended recipient, but she is impressed by the cosiness of the fabric! Oh Marisa I love that dress of yours. I think you've broken the equation cause that's right up the high end of my scale, yet she loves it too. Winner! 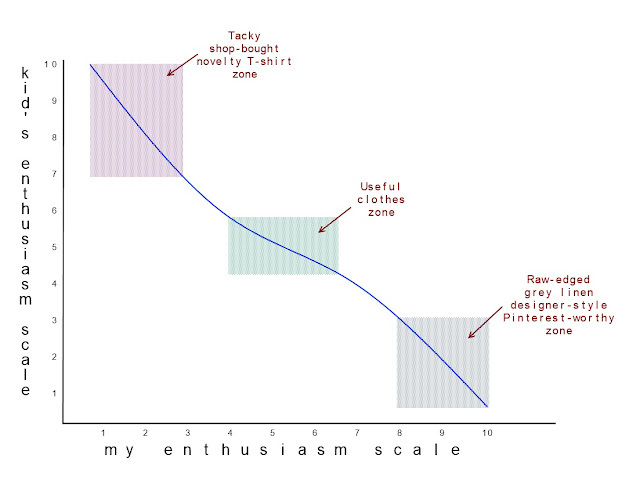 Perfect pj's and I thoroughly appreciated the graph.